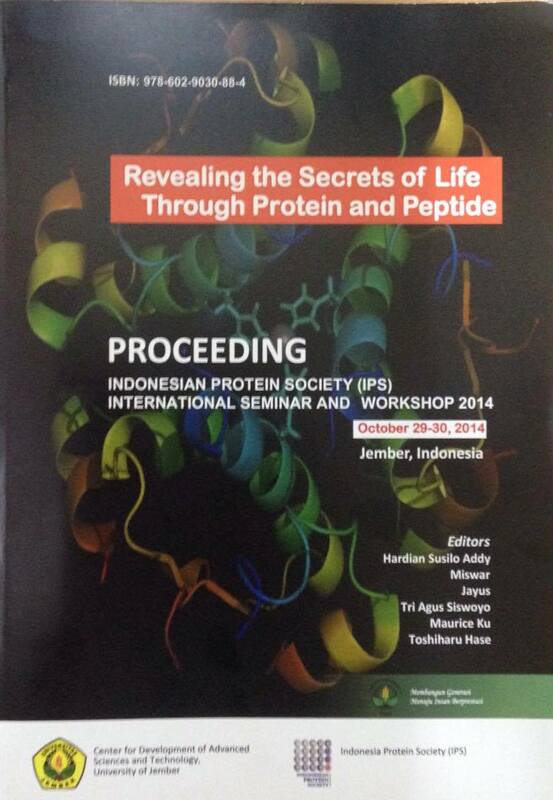 This Proceeding, Revealing the Secrets of Life Through Protein and Peptide, contains accepted papers that presented and selected through IPS committee. The Seminar was taking place in Jember, Indonesia on October 29-30, 2014. Andi W, Miryanti C, Saifur R, Dadang H, Widodo . Moh Setyo Purwoko, Endang Budi Trisusilowati, Amarullah . Zinc Biofortification of Rice Using Fish Protein Hydrolysates Mixed With Zinc Sulfate. Sholeh Avivi, Ralf G. Dietzgen, Colleen M. Higgins, Sudarsono .